The Jasper Hardwood Canadian Maple Collection offers traditional elegance and style for your home. Crafted from naturally strong and durable Canadian maple, this solid hardwood flooring offers superior strength and durability that you can count on. That’s not all, this top-quality hardwood flooring will give your interior design project a sense of warmth and traditional beauty. With BuildDirect’s manufacturer-direct prices, you can achieve this all for less. Learn more about this gorgeous hardwood flooring below. Eye-catching natural beauty: maple offers creamy white to light reddish brown tones, along with tight graining patterns and a uniform texture. 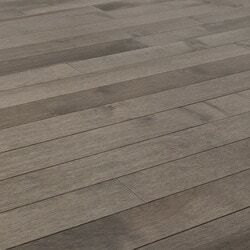 The beautiful, on trend gray stain further enhances the maple’s natural good looks. Expertly milled boards: built for tight fitting installations, these hardwood planks have tongue and groove edges that lock together smoothly. Install these boards using a nail down method. 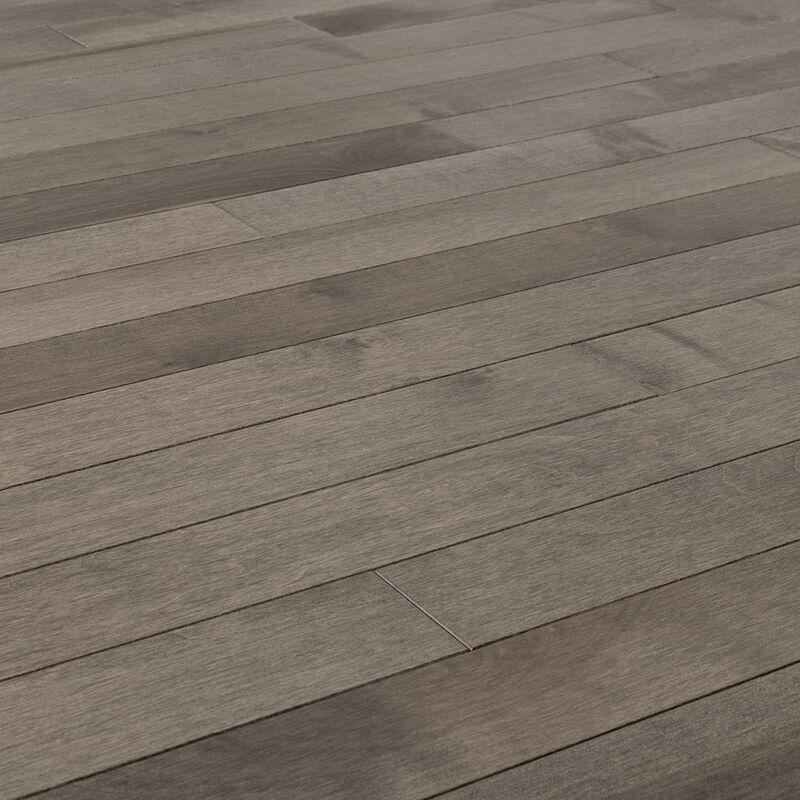 Finished smooth: these solid hardwood planks are crafted with a smooth surface, which highlights the maple’s natural character. A popular choice among homeowners, smooth finish hardwood provides classic elegance. Lasting durability: with a Janka hardness rating of approximately 1450, maple is slightly harder than red oak. Maple is also exceptionally shock and wear resistant, making it a great choice for busy homes. Finishing touch: for lasting protection and enhanced scratch resistance, this quality prefinished hardwood has 9 coats of Oxylust Exclusive Aluminum Oxide with Antimicrobial Ultra-Fresh™ Agent. Purchase with confidence: Jasper backs this solid hardwood flooring with a 35-year finish warranty and a 35-year structural warranty. Plank dimensions: these boards measure 3/4" Thick x 2 1/4” Wide x Random Lengths (minimum length 12”, maximum length 72”, average length 27”). This flooring is beautiful. Color is very consistent. High quality planks with no flaws. My daughter bought a BUNCH of hardwood flooring from here and we love it. It's not installed yet, but the process was great and they delivered on time. Highly recommended. Flooring went together perfect. Very straight with long pieces. Anyone can put this floor in. It is no where near the color that is represented in the pictures.